Concord prides itself on providing exceptional customer service from well site to office. Our fleet of Free-Standing Mobile Double, Single, and Slant service rigs are managed by some of the best in the business. We work extensively with our clients to ensure our operations and personnel are in sync with the safety and operational requirements needed for the projects we work on. Our primary goals are to complete every project safely, economically and efficiently. Concord takes pride in the exceptional expertise of our operations team. With decades of experience in all aspects of the oil and gas industry, the Concord team offers an incredible breadth and depth of knowledge and can find solutions to just about any well servicing challenge. Concord recognizes that a well servicing company’s main asset is its people and the importance of a solid base of dedicated and experienced crews is integral to the success of the projects worked on for our valued customer base. Concord has focused on building our employee base and has built a strong workforce with the capacity and expertise to meet a complete range of well servicing requirements. Concord Well Servicing brings solutions and innovations to the field and quite simply, we have the critical mass, the expertise, the safety record and the attitudes to make a difference. Our goal is to earn your business and grow with you. 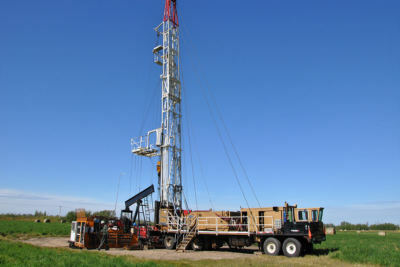 Our equipment and crews ae experienced in Conventional and Thermal operations, working on both vertical and horizontal wells for well maintenance, workovers, abandonments and completions. Concord Well Servicing operates a diverse fleet of 58 well servicing rigs from operation centres in Western Canada and the United States. Below is a list of our active fleet of well servicing rigs. and abandonments in Western Canada and the North Western United States.